According to the bookies Aston Villa have absolutely no chance of victory in Saturday’s clash with Manchester City. The odds of a City win are 3/13 and Aston Villa is light years behind with odds of 507/35. 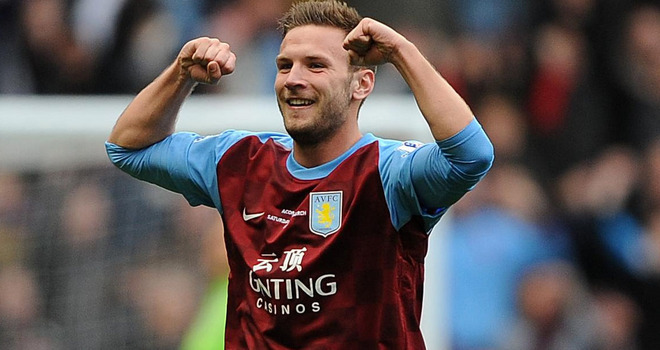 Nonetheless, Villa striker Andreas Weimann says that his side are not at all scared of Manchester City. Villa is currently 17th in the Premier League having had a difficult start to eh season under manager Paul Lambert. However, after scoring two goals in the team’s 3-2 defeat to Manchester United, Weimann says that Villa is full of confidence for this week’s match. Weimann went on to say that the team thinks they can take on anyone including Mancehster City.